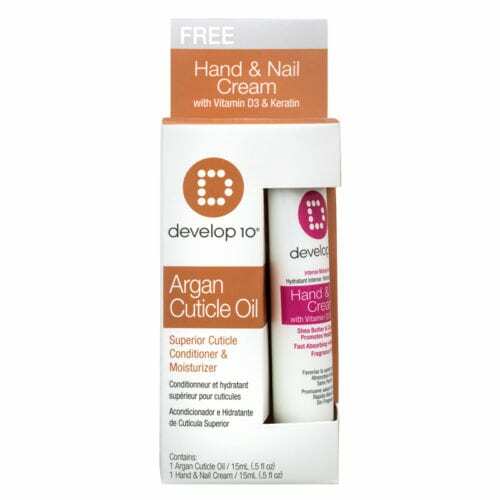 Formulated to condition and moisturize cuticles and nails with a superior blend of Argan, Sunflower, Rosehip and Orange Peels oils. 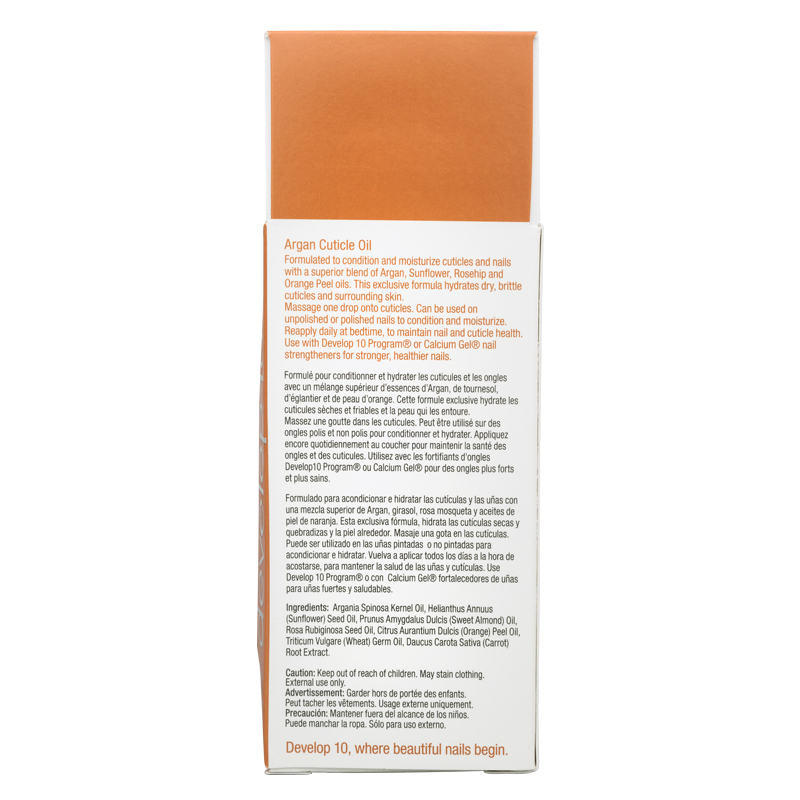 This exclusive formula hydrates dry, brittle cuticles and surrounding skin. Directions: Massage one drop on cuticles. Can be used on unpolished or polished nails to condition and moisturize. Reapply at bedtime, to maintain nail and cuticle health. Use Develop 10 Program or Calcium Gel nail strengtheners for stronger healthier nails.